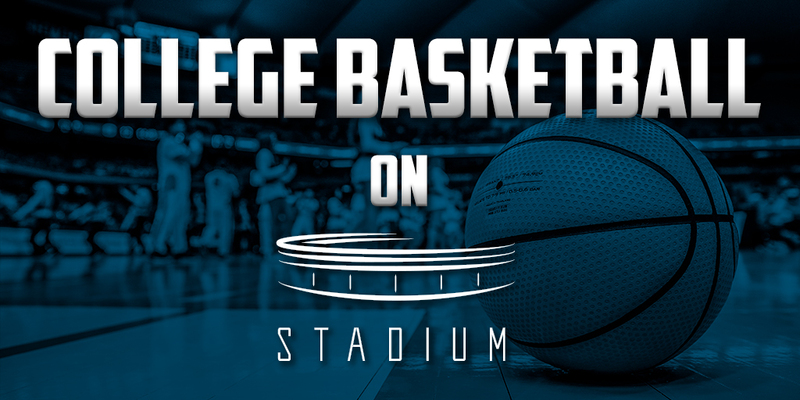 CHICAGO – Stadium, the first 24/7 multi-platform sports network, today announced a coast-to-coast lineup of over 70 college basketball games from five conference partners that will run across Stadium’s over-the-air network, WatchStadium.com, the Stadium iOS, tvOS, Android TV and Android mobile apps, Twitch (Twitch.tv/stadium) and dedicated channels on Roku and Fubo TV. Additionally, 31 games will air exclusively on the Facebook Watch platform and made available via the Stadium College Basketball Page. The stacked Stadium lineup features games from Conference USA, Mountain West, Patriot League, West Coast Conference and the Atlantic 10 conference, and will see the season kick off with the No. 7 ranked Nevada Wolf Pack taking on Cal Baptist on November 19. Stadium will also be the official home to the Cayman Island Classic, a prestigious NCAA Preseason Tournament that includes Clemson, Georgia, Creighton, and Boise State. Stadium’s broadcast team will feature a collection of talented commentators such as Chris Hassel, Doug Gottlieb, Jeff Goodman and Kristen Balboni, who will be featured heavily throughout the season.